Michael is a serial entrepreneur with over 20 years experience building and leading high-growth organizations. 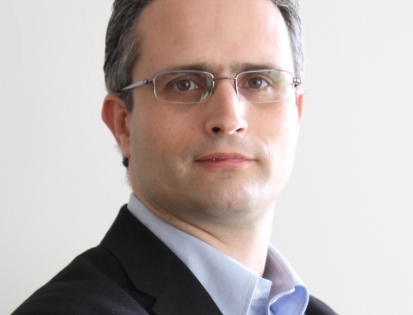 He was most recently CEO of FeatureX, an AI startup focused on deep learning computer vision technology. Michael was successfully treated for Stage IV throat cancer in 2008. Regina Barzilay is a professor in the Department of Electrical Engineering and Computer Science and a member of the Computer Science and Artificial Intelligence Laboratory (CSAIL) at the Massachusetts Institute of Technology. Her research interests are in natural language processing and applications of deep learning to chemistry and oncology. He was awarded the 2009 Nobel Prize for Physiology or Medicine, along with Elizabeth Blackburn and Carol W. Greider, for the discovery of how chromosomes are protected by telomeres. Gad Getz directs the Cancer Genome Computational Analysis group at the Broad Institute of MIT and Harvard, where he is an institute member. Under Getz’s leadership, the Cancer Genome Analysis group has established itself as a world leader in the development and application of genomic technologies and next-generation sequencing for analyzing cancer mutations. In addition to his role at the Broad, Getz is a co-principal investigator in the Genome Data Analysis Center (GDAC) of the NCI/NHGRI TCGA (The Cancer Genome Atlas) project; and a co-leader of the International Cancer Genome Consortium (ICGC) Pan-Cancer Analysis of Whole Genomes (PCAWG) project. In addition, Getz directs the Bioinformatics Program at the Massachusetts General Hospital Cancer Center and Department of Pathology. 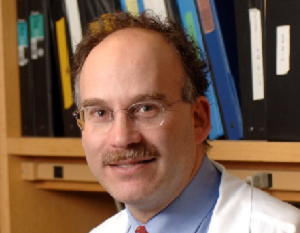 Dan Haber is the Director of the Cancer Center at Massachusetts General Hospital. The Haber lab is focused on the area of cancer genetics. Recent research has had important implications for strategies to identify critical genetic lesions in cancers that may serve as an "Achilles heel" and be suitable for molecular targeting. Dr. Haber’s group recently established the application of a novel microfluidic technology for quantifying and purifying rare circulating tumor cells (CTCs) in human blood. This new application has potentially profound implications for early diagnosis of cancer and for noninvasive molecular profiling of cancers during the course of therapy.